1. The meanings of ‘Barakah’ from a language and shariah perspective. 5. The net worth of 5 companions who were promised Jannah before passing away. 6. Point plans to increase your earnings. 7. Reasons why ‘Barakah’ is removed from our earnings. In my time working with parents & children, I’ve come to realise & learn that the transfer of *trust* creates value in our parenting abilities. Make your children trust you, and I mean really trust you; and *value* will be born in your relationship with them. Think of adding *value* to their lives before *possessions* and you will begin to raise leaders, instead of children. May Allah bless us and bless our children. Ameen. Peer pressure is not about others being right really. It’s more about your worry over of possibly being wrong. Right & wrong are judged based on evidence. Not the numbers of the masses doing or leaving something! You were created by Allah and are special. You have no need for being defined by others. Don’t live in the shadows of others. Rather Live in the shadow of evidence. We are so scared to fail that we never end up trying! We become so conscious of our egos & protecting it, that we protect ourselves from remotely trying. The Arabic saying goes; if you scared to fall; you will never stand! If you fail after really doing everything to succeed; I say: fail in style! Learn from it & come back stronger & wiser! Assalamualaikum everyone. Many are asking about the latest pictures related to the Imams leading the salah from the mihraab of the Messenger (saw) in the rawdhah in Masjid Nabawi. Upon further checking; it is reported that this will be the new system for the prayers in Masjid anNabawi after a successful trial of it. 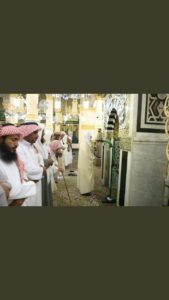 The reasoning shared for this new system is to facilitate better the movement of those wishing to pass through the graves of the Messenger (SAW) and his companions (RA), especially after each prayer, and especially since the Kingdom is working towards increasing the amount of visitors attending the Hajj and umrah in 2018 and the years thereafter. Should there be any further updates; I will endeavour to update you all accordingly. May Allah protect us from heedlessness. Ameen. Your own legacy… Think about it. Building a legacy takes time and requires mighty effort. Some people just don’t appreciate this reality. One of the best legacies you can leave behind, in this day age especially, is being a champion in recognising the people responsible for the surplus wealth & time you have. Whenever you have more than someone else; you must never forget the backs of the individuals used to provide the efforts that form the foundations of your surplus. One of the best ways of doing this is through being excellent with your Zakah! With its calculation as well as distribution. Zakah trains us to leave a legacy of never forgetting the people responsible for our success. May Allah bless your thoughts and your wealth. Ameen. The Transformers phenomenon is something proactively searched for nowadays and has taken the world by storm over the past few years, and especially in 2017/1439. Here is my review of the topic. I sincerely request you all to access the link and give it your valuable time. May Allah grant you jannah. Ameen. Patience and perseverance have a magical effect before which difficulties disappear and obstacles vanish. 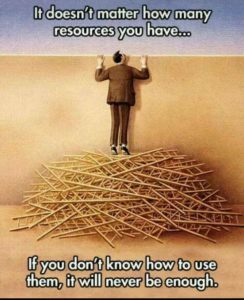 A little knowledge that acts is worth infinitely more than much knowledge that is idle. (John Quincy Adams).